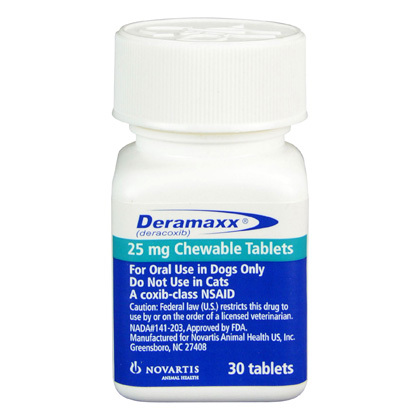 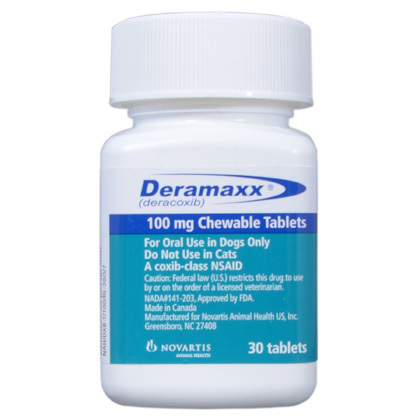 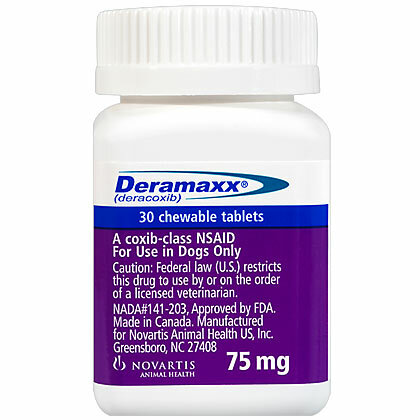 DERAMAXX (deracoxib) Chewable Tablets are indicated for the control of pain and inflammation associated with osteoarthritis in dogs. 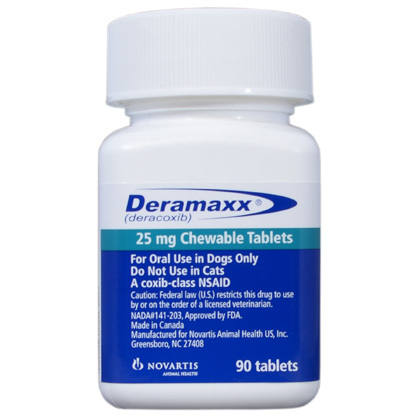 Provides 24-hour control of your dog’s pain and inflammation due to canine osteoarthritis. 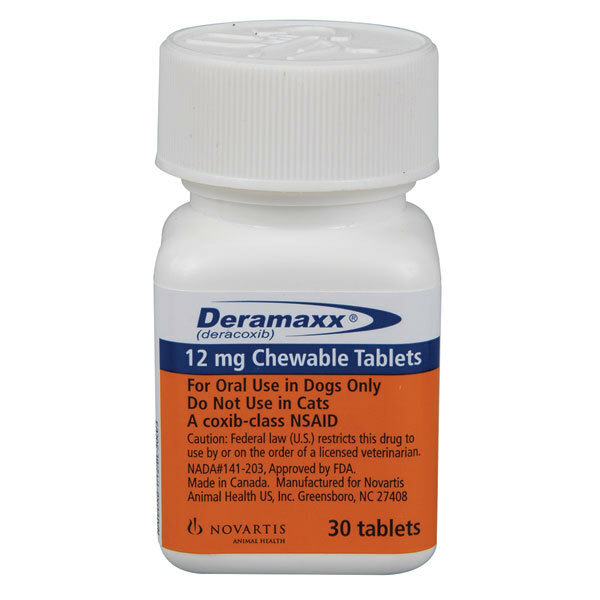 Is flavored - dogs readily eat the beefy-flavored chewable tablets. 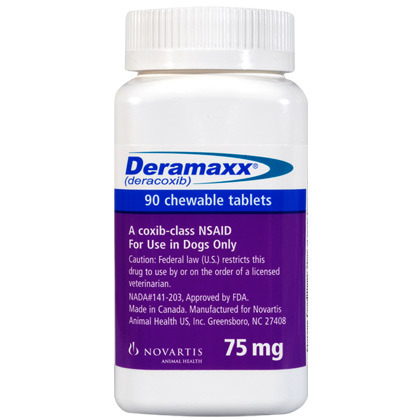 Is a good value, making daily pain management affordable. 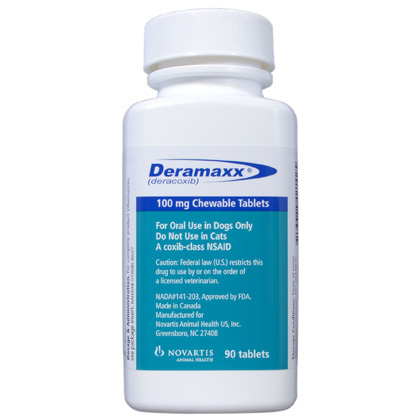 Is a once-a-day medication that’s easy and convenient to administer.